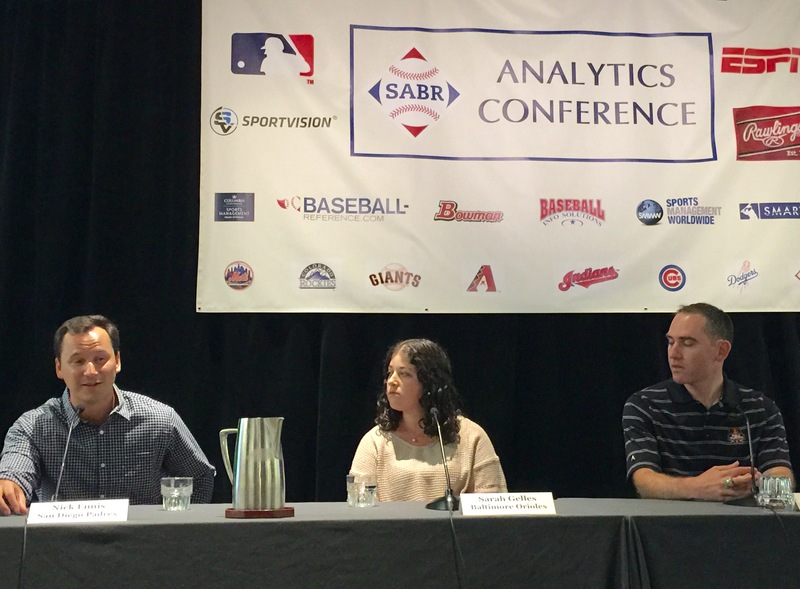 At the 2016 SABR Analytics Conference on March 12, 2016, our Baseball Operations Panel discussed how Major League Baseball front offices are using analytics to improve their teams’ performance. Panelists included Nick Ennis, the San Diego Padres’ Director of Baseball Operations; Sarah Gelles, the Baltimore Orioles’ Director of Analytics and MLB Contracts; and Yeshayah Goldfarb, the San Francisco Giants’ Vice President of Baseball Operations. The panel was moderated by SABR President Vince Gennaro. This page was last updated March 19, 2016 at 4:32 pm MST.